I’ve had a couple of off days, not feeling well on top of some blahness with inspirations. I figured a couple projects with two fun purples can get me back into my natural happy state. 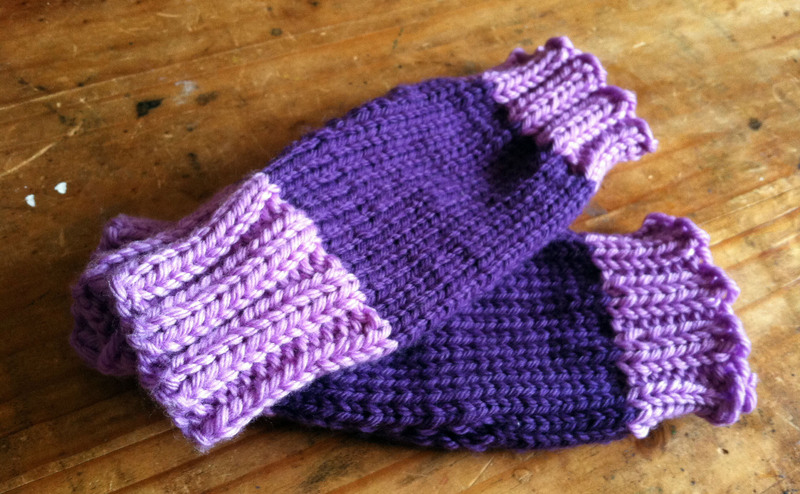 So far it is working, I’ve got two sets of fingerless mittens and one bow head band done. 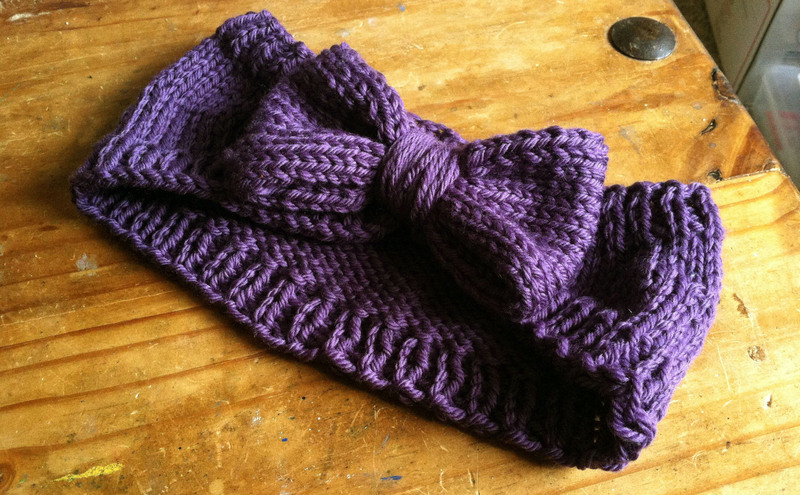 And I am starting a bow headband in the lighter purple, shouldn’t take me long today and then I can move on to some unfinished projects that I need to get done before we head to the Mother-In-Law Hotel on Wednesday. She is having spinal surgery and we are going to stay a bit to help with her recovery. I’m trying to decide if I want to lug my sock machine to her house or just come home a couple days to get some socks done for orders. I”m thinking I’m going to want to come home a couple times for a break during the day.